What’s the best thing about cafe curtains? They are easy to make! The materials are simple and readily found. Plus, there are no fancy sewing skills required. 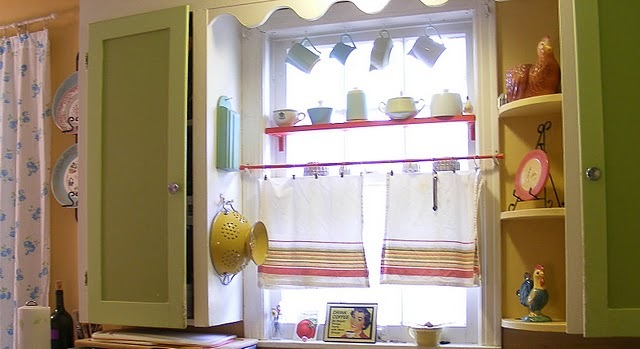 Here is a simple step-by-step guide to DIY cafe curtains. Step 1: Use a measuring tape to gauge the size of the fabric. Mark the fabric with chalk and cut accordingly. – For tea towel: Cut across the width and turn such that the ends will be the bottom of the curtain. 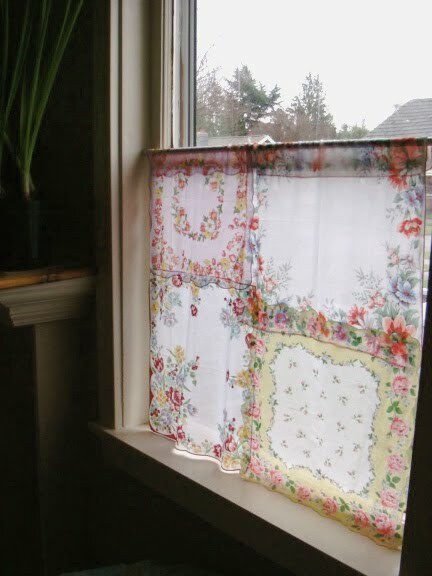 – For linens: Cut about 5 inches longer and 1.5 inches wider than the window. – For handkerchief: No need to cut since they are usually smaller than linens and tea towels. The size of your fabric will also depend on how full you want your curtain to look. Some like having additional ruffles or extra width for when the curtains are drawn. It really depends on your taste and the look you are trying to achieve with the room. Step 2: Fold the top and use a basic straight stitch along the top edge. 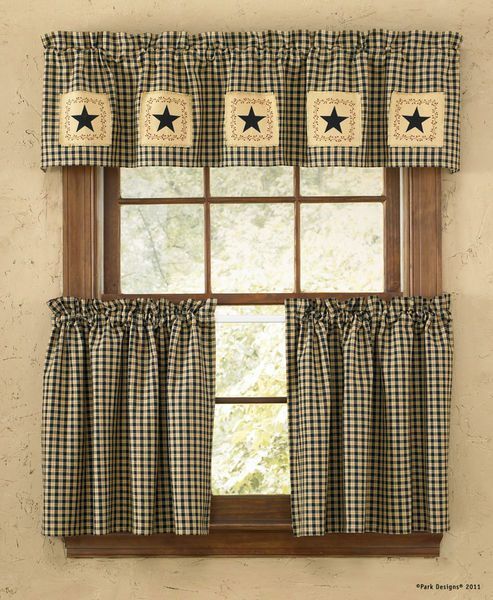 This will make a channel for the curtain rod and hide any imperfections made during cutting. The fold should be big enough to accommodate the curtain rod. Step 3: Hand sew the details such as twill tape on the fabric, ruffles at the bottom or curtain rings at the top. Step 4: Press the curtain before sliding the curtain rod through the channel or using the curtain rings. Make use of socket brackets to hang the rod as necessary. This project is easy and fun to do; it can even be a bonding activity with older children or close neighbors. There are also no-sew version which makes use of hem tape and fabric glue. 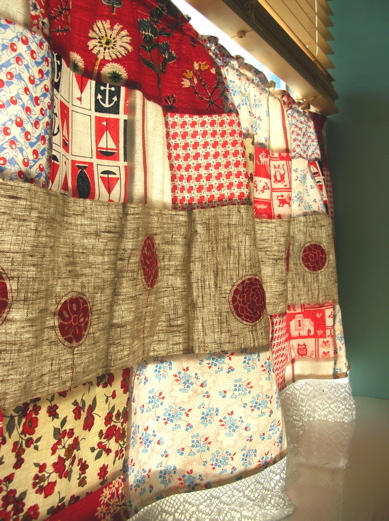 Repurposing old fabrics lying around the house does not just save you on decorating costs (because those blinds and other window treatment costs can pile up) but promote eco-friendliness as well. Cafe curtains can usually be found in kitchens and bathrooms but they can also be used in small basement windows, study, children’s rooms and foyer. 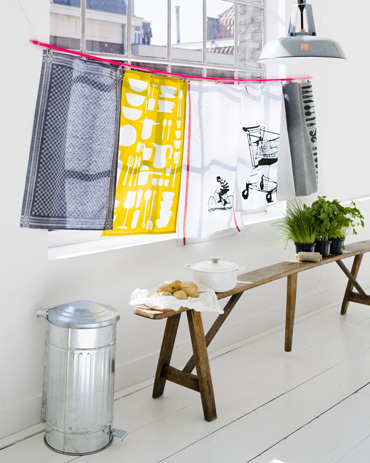 They are really quite versatile and easy to mix and match with other room accessories. And because they are a breeze to make, replacing them during an occasion, change of season or when remodeling will be as cost and time efficient as well.